Super Yacht Harbour Charters are an essential experience for all traveling from near or far. Sydney Harbour Luxe Charters is proud to offer a wide variety of world class super yachts on the iconic Sydney Harbour. Our luxury super yacht harbour charters are second to none. Our superyachts are professionally crewed with 24/7 room service, there is no other way to experience the harbour in a more luxurious way. Our vessels boast staterooms that include king sized beds complete with en suites leaving you and your special guests in complete privacy & complete luxury for overnight charters & extended stays. SUPER YACHT HARBOUR CHARTERS ARE PERFECT FOR ANY OCCASION! Our luxury super yacht harbour charters are tailored to each client’s specific brief,from the size of the vessel to the menu provided.Sydney Harbour Luxe Charters provides world class superyachts that are most suitable for you or your clientielle. Our aim at SHLC is to provide unparalled vessels and service leaving you stress free.Sit back and relax whilst you take in the sights of Sydney Harbour on board our stunning vessels and simply leave the rest up to us! Our personalized charter itineraries will give you the utmost flexibility. You may wish to visit specific destinations and to enjoy your personal interests which may include ( but not limited to) diving, snorkeling, photography, fishing or just relaxing on the yachts shaded decks. A luxury super yacht harbour charter is perfect for any occasion,whether its a family day out on the harbour or an anniversary with your loved one. Sydney has many gems that are hidden along the harbour, which we are positive you will discover during your luxury super yacht harbour harbour charter. You can be assured that our qualified captain and crew will cruise to the most breathtaking locations.Most of these locations can only be discovered by water. We will ensure maximum comfort and pleasure for you and your special guests.A luxury super yacht harbour charter is an experience second to none and superyacht harbour charters are the only way to see Sydney Harbour in complete privacy and style! 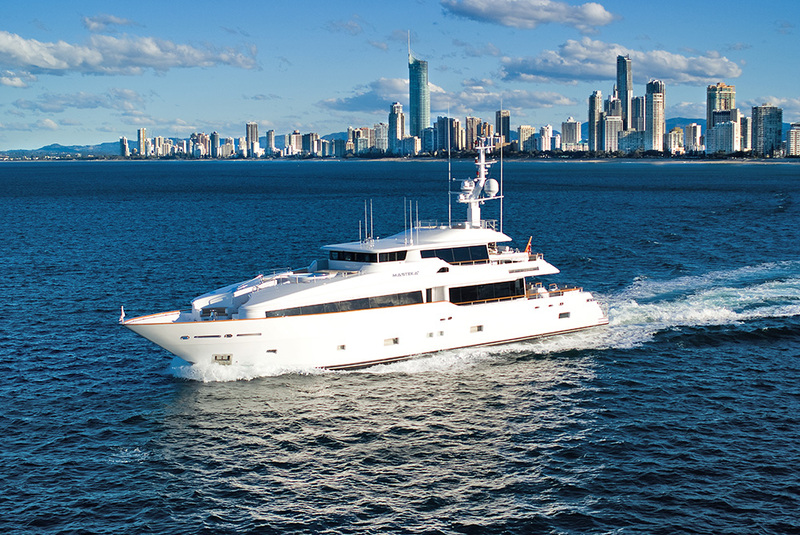 Browse our super yachts now!